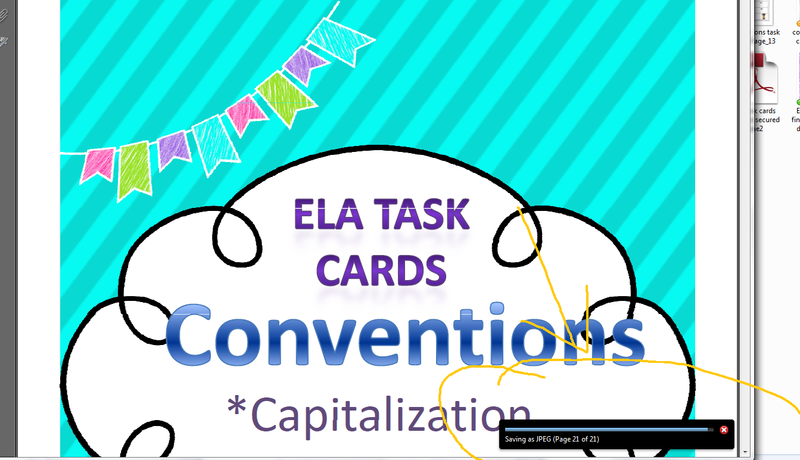 One of the great things I learned at the Teachers Pay Teachers Conference is that you can use Picasa to make a photo collage and then that photo collage can become your preview if you sell on Teacher's Pay Teachers. Say what?!! All this time I have spent hours making page previews. My struggle is real. Hours. Screen shotting, clicking, dragging. Repeat. 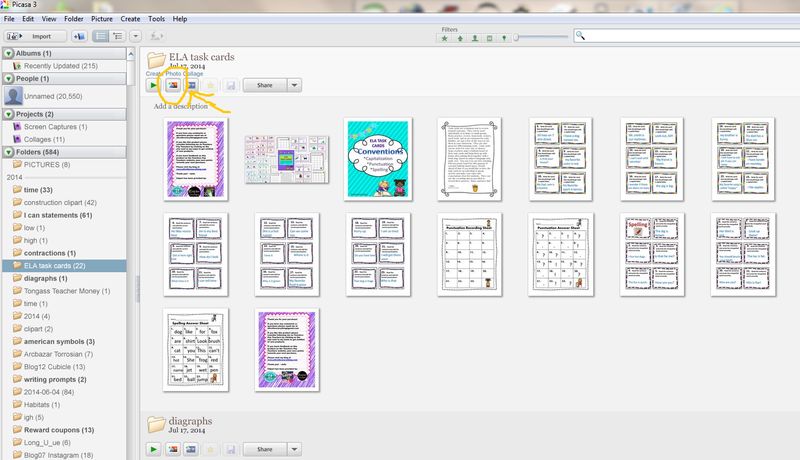 I about fell out of my chair when I discovered Picasa for page previews. 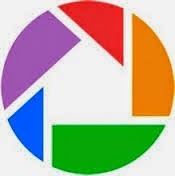 I have used Picasa before for storing and editing photos but this opened up a whole new world for me. Oh Picasa, how I love thee! Even if you aren't making and selling products Picasa rocks! Imagine the possibilites.... A photo collage for parents as gifts, for your classroom volunteers, for end of the year slide shows, and the list goes on. So today is your lucky day (I can almost hear the cheering you are doing right now) because I'm going to show you how to use Picasa to make a photo collage on your PC (sorry, I have no clue how to do this on a Mac) and if you do sell, imagine all the pages of your product in a small screen view. I know...right? Awesomeness. 1. )Save your product in a PDF. I use Adobe Pro. In the file menu click save as other then Image, then JPEG. If you secure your documents in a PDF make sure to do this step before securing. 2.) Choose a folder to save your document in. I create a folder for each one of my products. Click save as, making sure its in the folder you want and then click o.k. 5.) Double click on the folder where you saved the images from the PDF. 6.) Double click on create photo collage which is the middle button at the top left of the screen. Or you can click on the create tab and then choose picture collage. 7.) Your photos will then be put in a collage. Like it? Great! Save it and move one to step 8. 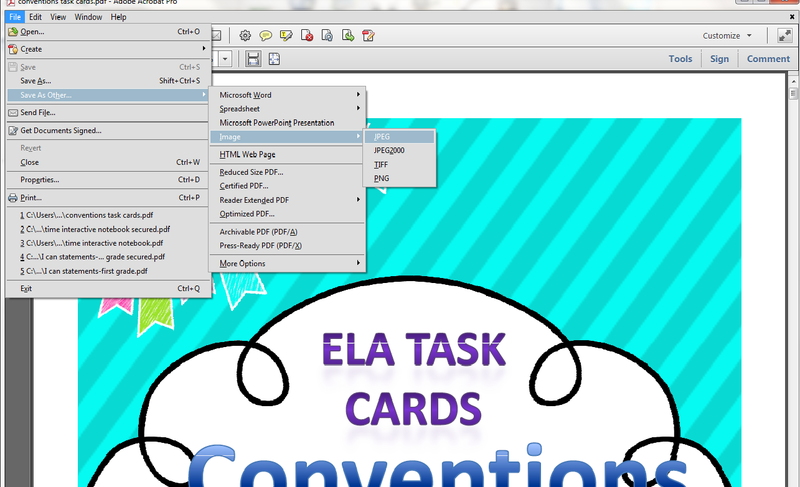 If you don't you can use your mouse to move the images, shrink, enlarge rotate, etc. Right click on an image to move it under or to the top of the collage. 8.) Once you have it the way you want, double click on create collage. 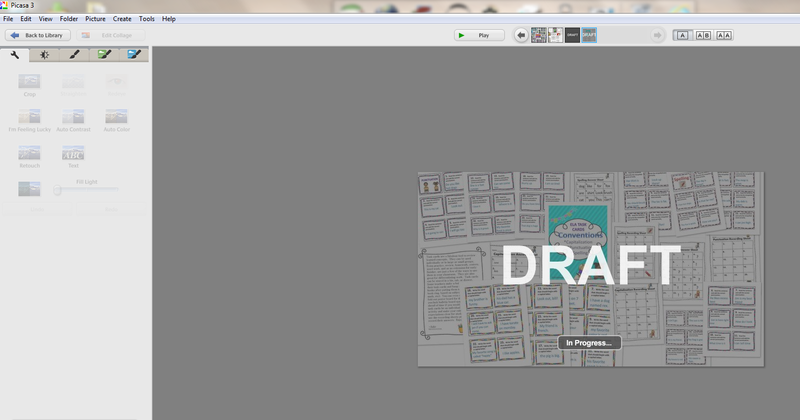 Your screen will then look like this with the word DRAFT across your collage and "in progress" underneath. 9.) When it has finished just click on save as and save your collage to a folder. Done! Wasn't that easy? I hope this was helpful. If it wasn't-pour another glass. Thank you!! I was wondering how you can move things around in Picasa, so this helped me!! So glad that so many of you are sharing the awesome tricks and tips you learned in Vegas!! Thank you, thank you, thank you! Your directions were so helpful! Yay! I'm so glad this helped you! Thanks for stopping by! Thank you so much for sharing! I can't wait to try it! Great! I'm so glad it was helpful for you! Thanks for saying hello! I love this tutorial, but sadly, my PDF program isn't offering the option of saving it as an image prior to uploading it into Picasa. Do you know of any way to problem solve this? Hi Kristina, technology can be so frustrating sometimes, can't it? It sounds like you don't have save an imaging as an option in your Adobe program. Adobe Pro does but if you have Adobe Reader it may not have that as an option. You can take screenshots of each image,save them in a specific folder you create and then upload those pics in the folder to Picasa. I can help you do that if you need help.